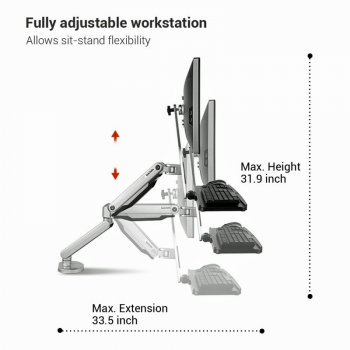 Our sit-stand workstation mounts offer a convenient and affordable way to convert any traditional desk into standing up desk. 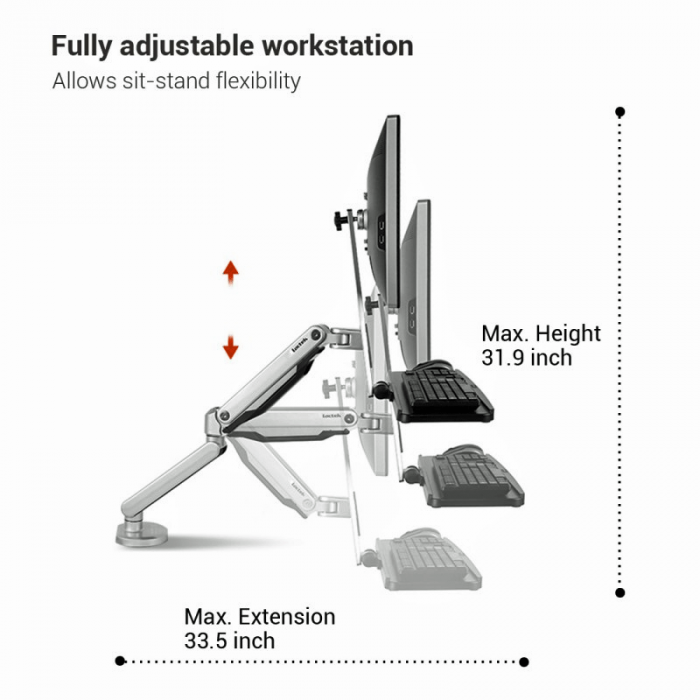 With them, you can easily switch between a seatedor standing posture. 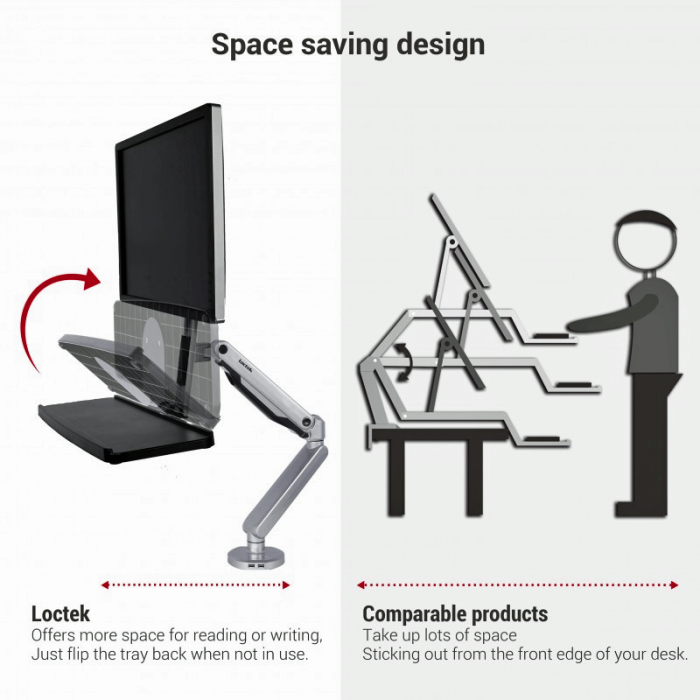 Standing while working increases energy and contributes to a healthier lifestyle. 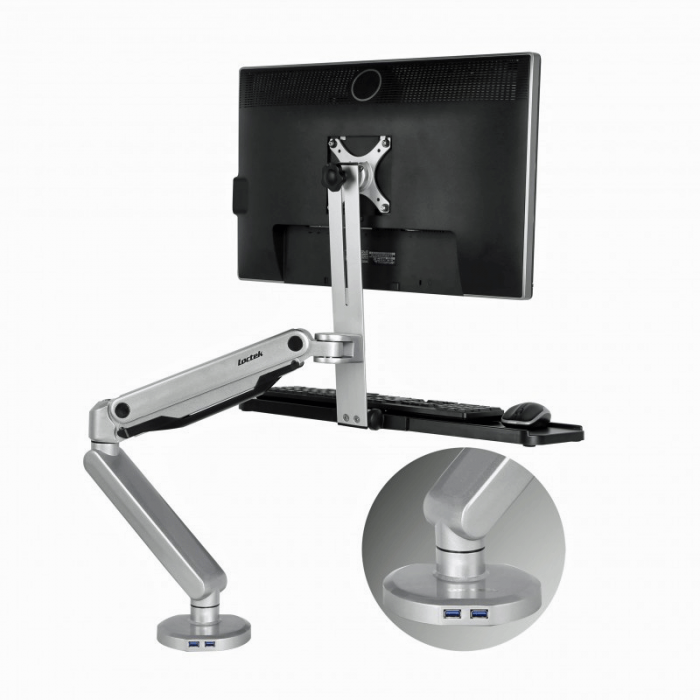 Loctek’s sit-stand mounts are equipped with additional innovations such as the gas spring hovering systems and front-loading ports for audio, mic& USB. 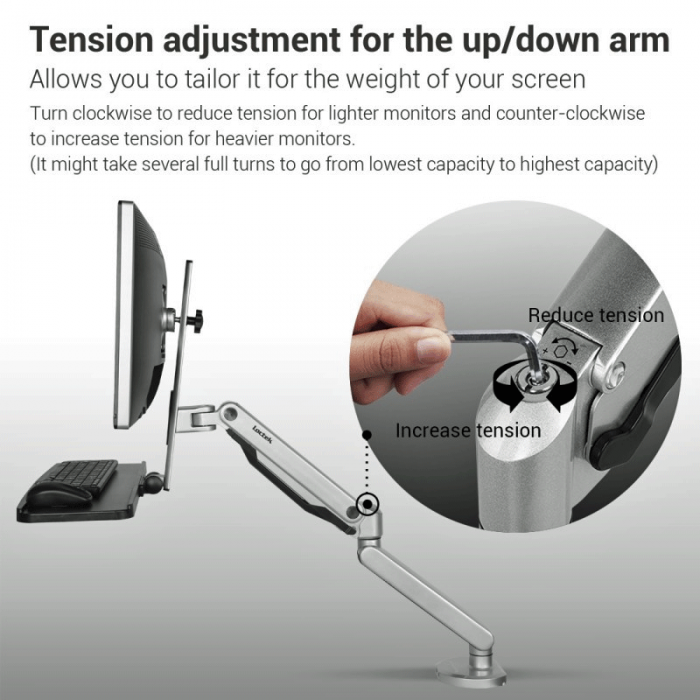 Arm easily adjust to support an ergonomically correct workstation; more comfortably, reducing neck, eye and back strain. 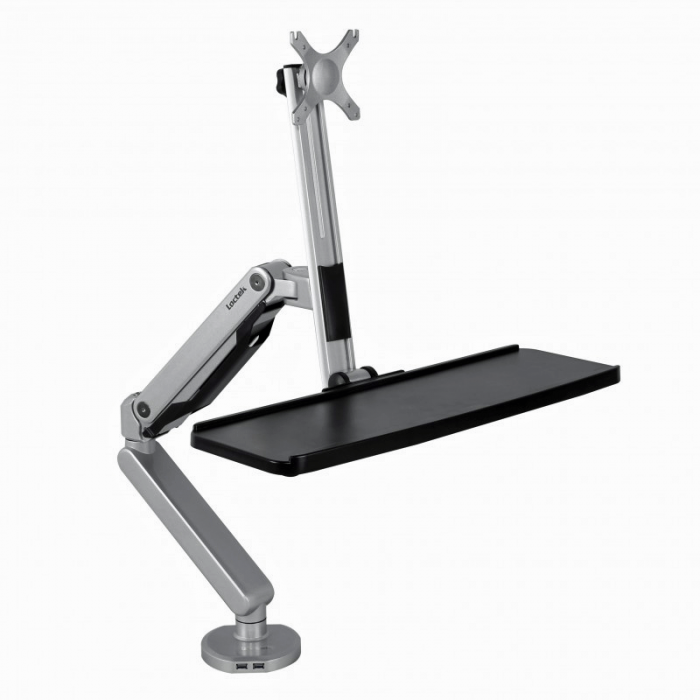 Made of aircraft aluminum, providing long-lasting use. 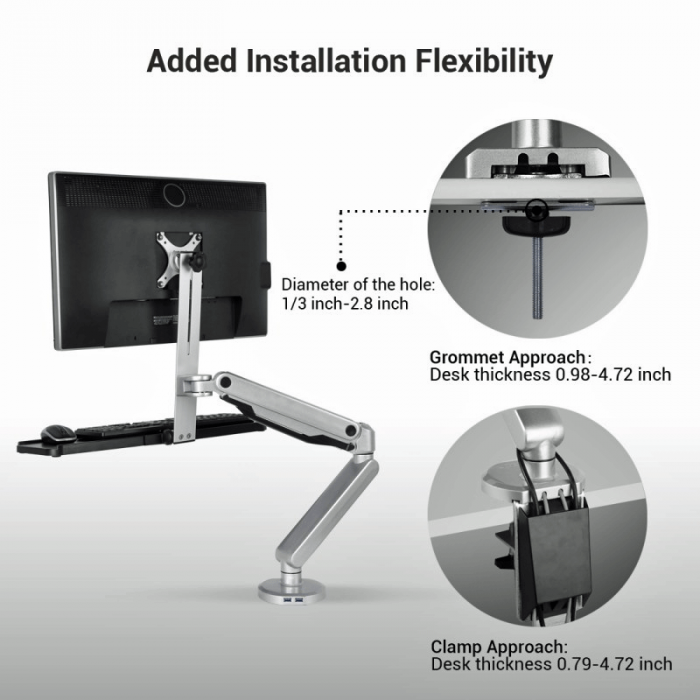 Cable management system organizes wires for a tidy desk. 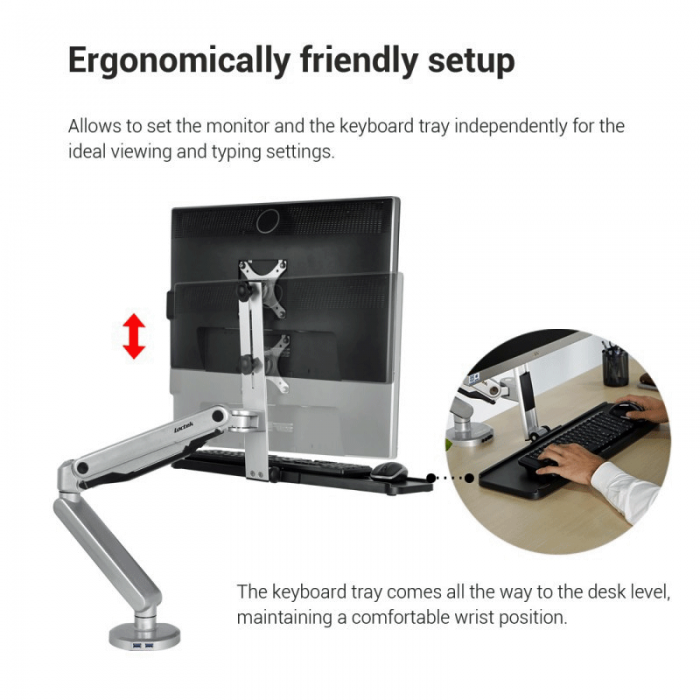 Tray Size: 7.68" x 23.6"